KABUL -- Days after "Islamic State of Iraq and Syria" (ISIS) leader Abu Bakr al-Baghdadi emerged from obscurity and admitted his group was in retreat, Afghan and coalition forces killed the leader of the ISIS branch in Afghanistan. In a 55-minute message broadcast Wednesday (August 22) by ISIS's media operations, al-Baghdadi acknowledged how ISIS is reeling following its military setbacks in the Middle East. 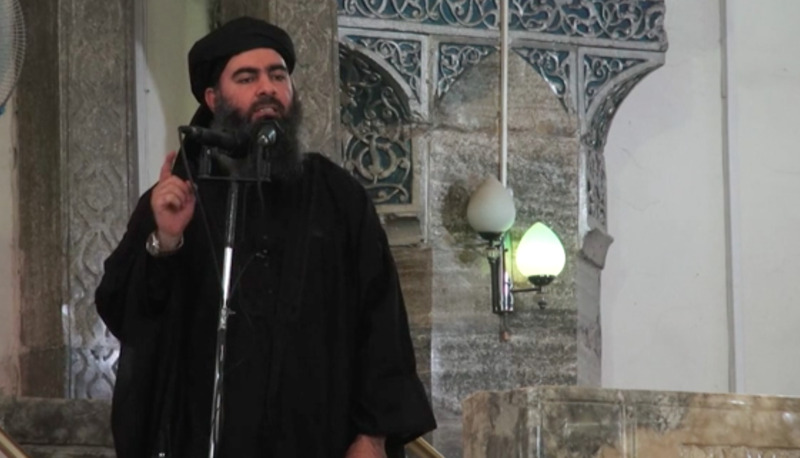 While he called on his followers not to abandon their "religion, patience or jihad", in what appears to be a indication of the group's defeat on the ground, al-Baghdadi declared that "the scale of victory or defeat for the mujahideen is not dependent on a city or town being stolen or subject to those who have aerial superiority". Al-Baghdadi also touched upon the lack of discipline bubbling up among the group's remnants and warned his deputies to watch for signs of rebellion among their men. He urged ISIS members of different nationalities, regions and ethnicities to refrain from infighting and feuding. Al-Baghdadi would not have cited those problems if they were not prevalent, say observers, who note that the spectre of defeat was bound to trigger a wave of disobedience, especially on whether to continue fighting. Since al-Baghdadi declared the creation of the so-called "caliphate" in 2014, ISIS has lost 95% of its territory in Iraq and Syria and has been reduced to a few small pockets of mostly uninhabited area in Syria. The new recording comes almost a year after its most recent predecessor. Reports suggest al-Baghdadi is injured, and authorities say the noose is closing around the jihadist leader after Iraqi forces captured five top ISIS commanders in Syria March 24. Meanwhile in Afghanistan, ISIS suffered yet another setback in a series of blows. The leader of ISIS's Khorasan branch (ISIS-K), Abu Saad Arhabi, also identified as Abu Sayed Orakzai, was killed in a joint Afghan-coalition air strike late Saturday (August 25) in Khogyani District, Nangarhar Province, according to the National Directorate of Security (NDS). "The Emir of Daesh in Afghanistan along with 10 others was killed," said a statement by NDS, calling the group by its Arabic acronym. Ataullah Khogyani, the spokesman for Nangarhar provincial governor, confirmed Arhabi's death. 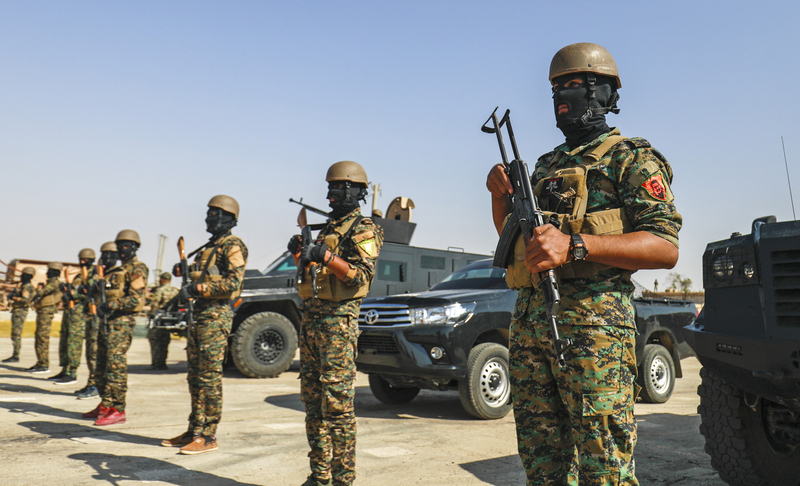 "Air strikes were carried out in the area, and coalition forces fired rockets from Jalalabad airport," Khogyani said, adding that "we had intelligence reports about this leader of Daesh in the area, and we shared them with our foreign partners." It was not clear whether "rockets ... or air strikes" killed Arhabi, continued Khogyani, saying, "More than ten militants, including some commanders, were also killed. Arhabi is the fourth leader of ISIS-K to be killed since the group first emerged in the country around 2014. The spokesman for US forces in Afghanistan, Lt. Col. Martin O'Donnell, confirmed they had conducted an air strike in the location described by Afghan officials, which "targeted a senior leader of a designated terrorist organisation". Hours before the raid, the group claimed responsibility for a deadly suicide attack that appeared to target a sit-in protest outside the provincial election commission office in Jalalabad. The bombing reportedly killed two Afghans and wounded four, according to Afghan officials. The Jalalabad bombing followed a number of bloody attacks claimed by ISIS in recent weeks, including assaults on several government installations in Kabul and a bombing at a school that killed at least 37 people. Despite committing numerous terrorist acts, the group is on the run and has suffered repeated setbacks in the past year during a bloody turf war with the Taliban. Early this month, more than 150 ISIS fighters surrendered en masse to Afghan forces in Jawzjan, a move that Afghan forces hailed as the end of the group's foothold in the north of the country. This ISIS capitulation comes after weeks of intense fighting with the Taliban in Jowzjan that reportedly killed more than 300 militants from both sides. Arhabi succeeded Abu Sayed, who was killed in a US air strike on July 11 in Kunar Province, only months after his own predecessor, Abdul Hasib, was killed in Nangarhar. ISIS is the most brutal group the kind of which has never existed in the world. Through creating insecurity in Afghanistan, the U.S. and Pakistan stand to benefit the most from Afghanistan's uranium mine. I consider it as a good news to see that ISIS is defeated. Enough is enough, you killed many Afghans and you wounded many more. My advice and suggestion is that Taliban and ISIS may come to peace, otherwise, they will be destroyed. They are killing innocent people, and killing of a Muslim is similar to the killing of all humans. Thanks for the report. What could be the objective of ISIS's presence in Afghanistan? Are the great powers and influential countries in the region going to take advantage of this group to undermine their competitors? What could be the ISIS's interests in the northern regions of Afghanistan? Has the group been brought here to keep China and Russia busy and to weaken them in north of Afghanistan? One should first come up with reasonable answers to these questions. May the remaining Punjabi dogs [the term is used for Taliban] suffer from the same fate so that Afghanistan remain safe from the misery of these wild beasts and aliens' puppets. 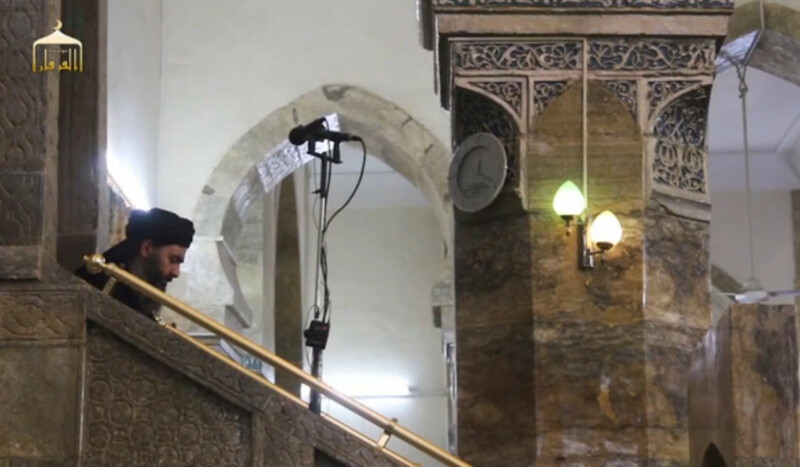 A new message reveals that 'Islamic State of Iraq and the Levant' leader Abu Bakr al-Baghdadi is losing control over the group as it comes under fire.